Now that the year is winding down, I've had a little bit of time to step outside of my comfort zone and create more personal work. 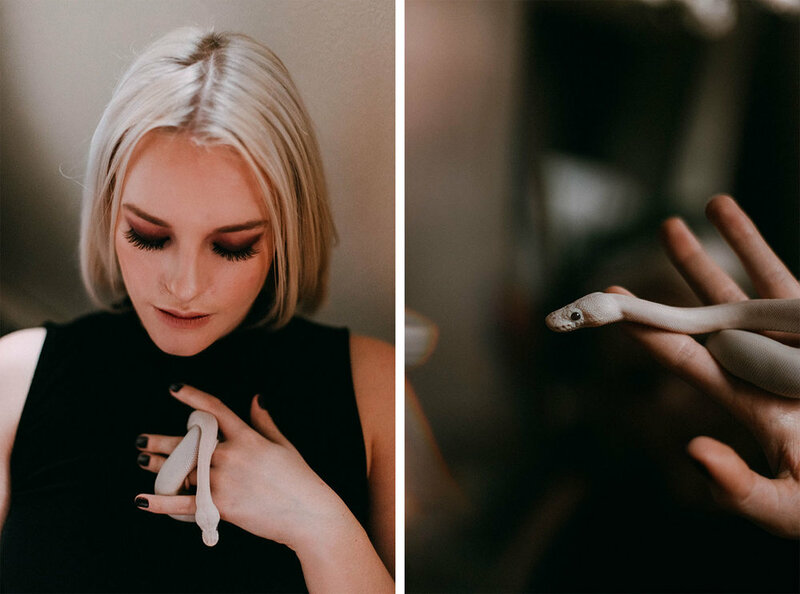 One of the shoots I've put together features Ally, who is a super talented artist, a few bits + pieces from around her studio, and of course her lovely lil snake, Una! Ally is an artist at Refuge, which is an amazing arts-driven community in the Fox Valley. 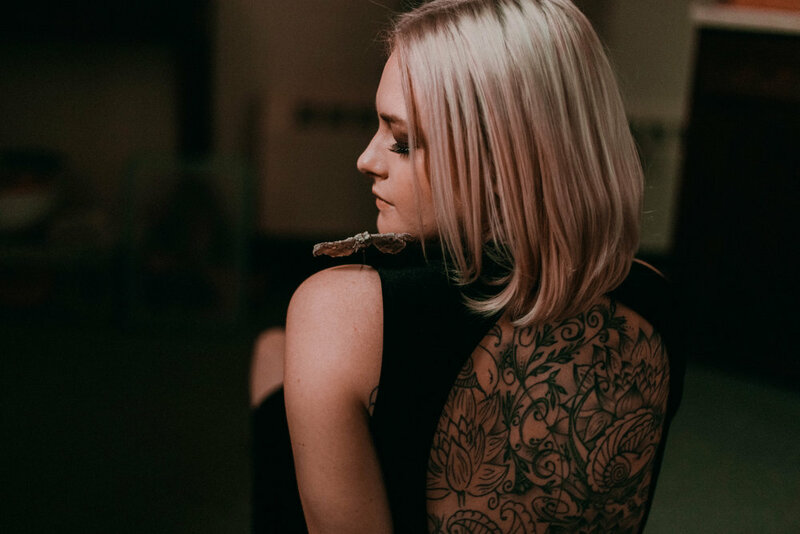 It's always such a beautiful thing to connect with other local creatives and make something together, and I'm so pleased to share the final result with you!